Unlike an agent that works solely for a big insurance company, an Endorsed Local Provider has more resources available to help you. The more resources available, the more likely you are to save hundreds of dollars on your insurance. Being an ELP isn't easy; it's hard work because ELPs are held to a higher standard of excellence. 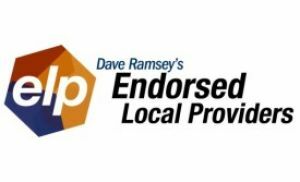 While ELPs do pay a fee to cover program maintenance and employment costs, Dave's endorsement is not bought-it's earned. With an ELP, you know for sure that you're getting the same type of advice that Dave would give. 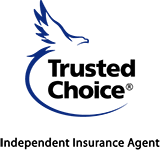 You can trust ELPs because Dave has a 20-person team that works with every ELP to make sure they meet your standards and give you great advice. You can feel comfortable talking with an ELP because each and every one of them has the heart of a teacher. Every ELPs performance is evaluated monthly to make sure you get the best agent possible. Also, you have a chance to grade the ELP you used based on your personal experience through a survey provided by Dave. It's simple, if this program didn't benefit you, we wouldn't do it. Why use an investing professional? A good investing pro is going to do more than pick your funds. They are going to fit your investments into your life, consider tax implications, changes in legislation and educate you so you'll understand what you're investing in and why. If you're having a bad day and decide to pull all of your investments out, you can ruin the goals you've worked hard to achieve. Since buying high and selling low is a bad plan, an investing pro will remind you why you're investing and encourage you to stick with your long-term goals. A shocking number of people overpay for car and home insurance without realizing it. An independent insurance professional works for you not the insurance company. They are not limited to a single insurance company's plans. Independent agents can search dozens of policies from many reputable companies. And best of all, it's absolutely free to use an independent insurance professional! Why use a health insurance specialist? The number one cause of personal bankruptcy is unpaid medical bills. Not having health insurance can result in ridiculously high medical bills. Health insurance may be one of the most important investments you can make. A good specialist can help you get on a plan that fits your budget and needs.